These books are like many other books learning about the alphabet/numbers/shapes. But instead of the usual A is for Apple, this is A is for Android, Z is for Zombie! With Nerdy numbers, you learn about Pi and in Sci-fi Shapes you learn about tripods and 42 (the answer to life, the universe and everything). 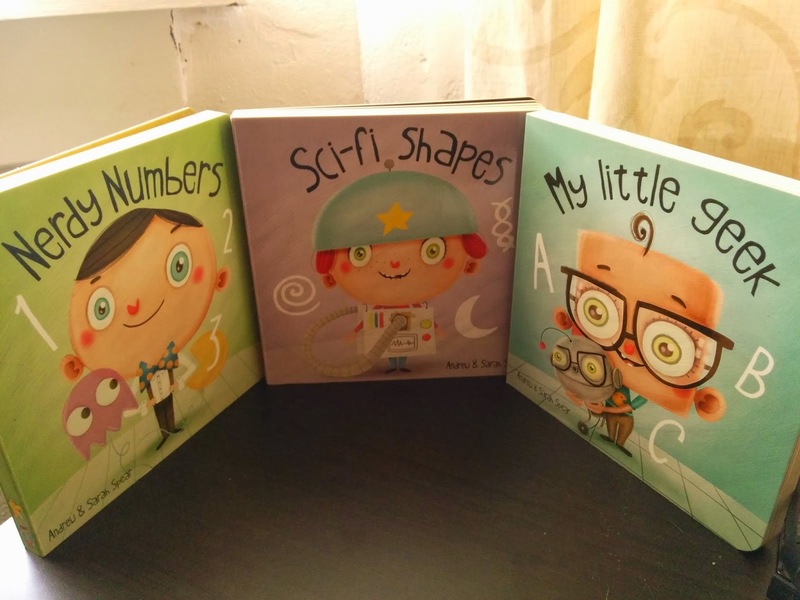 These books come as solid board books or as e-books.